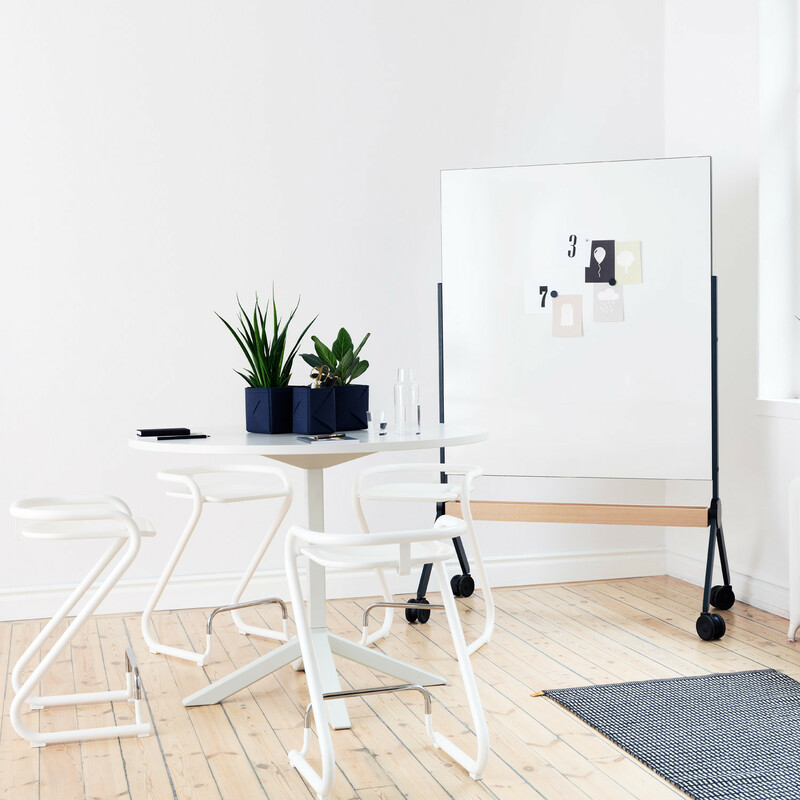 Draft Mobile Writing Board designed by Daniel Lavonius Jarefeldt and Josef Zetterman has been designed for the flexible working environment. 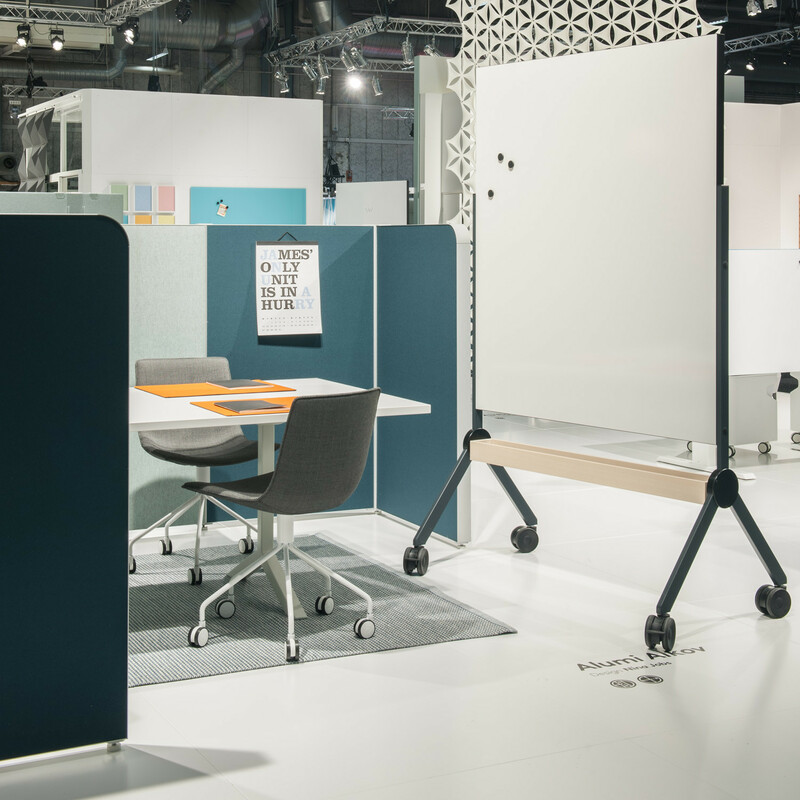 Fixed workplaces and meeting rooms are no longer obvious requirements to discuss strategies or brainstorm. Draft writing board meets these needs by being mobile so that you can move it to your desired location. 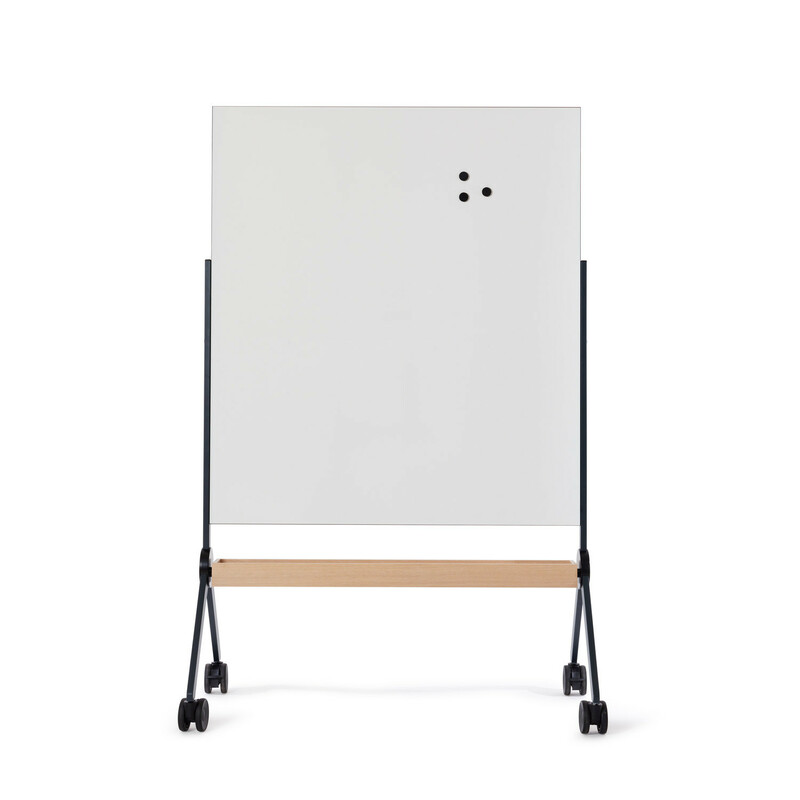 Draft Writing Board is double-sided and has an anthracite grey steel frame with castors. 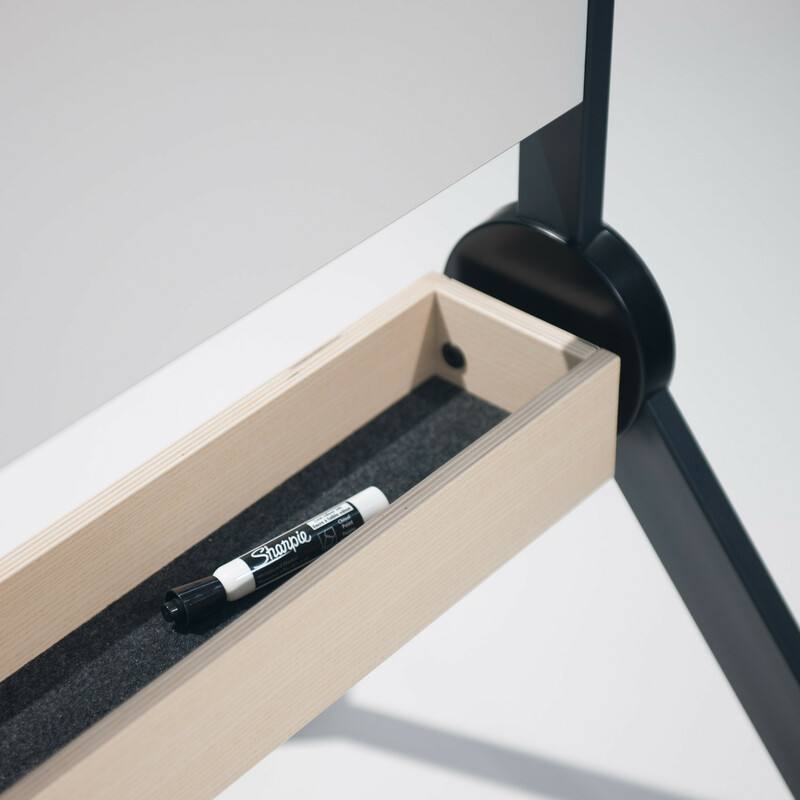 Below the writing surfaces is a wooden drawer for storing pens and erasers, for example. The wooden drawer adds a warm feeling to the expression. VIew more furniture from Abstract. You are requesting a price for the "Draft Writing Board"
To create a new project and add "Draft Writing Board" to it please click the button below. To add "Draft Writing Board" to an existing project please select below.